Crockpot chicken recipes certainly make life easy – and tasty! Traditional chicken cacciatore has several steps in the recipe and is probably not a work day dinner for someone with a busy life. But put it in a crock pot and presto, a delicious Italian recipe can be on the table any night of the week with little effort. Place the onions in the bottom of your crock pot. Add the cut chicken on top. Combine the remaining ingredients and pour over the chicken. Cook on LOW for 8 hours or HIGH for 4 hours. Most people love Italian recipes and this one is perfect for entertaining or a family dinner. Slow cooker chicken recipes make delicious easy dinner recipes. This chicken cacciatore recipe has the taste of the original with the ease that crock pot recipes provide. Don’t you just love that? I certainly do. It’s quite a healthy recipe too. Chicken, tomatoes, garlic and herbs all cooked together. Serve it over rice or pasta for a great dinner idea. Better yet, how about serving it over whole wheat pasta or brown rice? Extra fiber means extra nutrition. 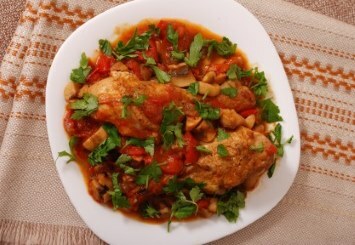 You can even serve chicken cacciatore over different grains. It would be wonderful over quinoa. Looking for diabetic recipes? This one is great. Lots of healthy ingredients and low carb. Just don’t eat a lot of pasta or rice with it. I put the sauce on cooked green beans or zucchini. If you like this recipe, I’d love you to Pin it to Pinterest, Tweet about it, Like it on Facebook and leave a comment below. Use the comment box to add your own favorite recipe too. 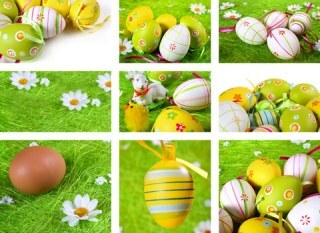 This recipe was provided by Homestyle-Recipes, your online guide to free crock pot recipes. You’ll find easy, fast and delicious meals that will please even the pickiest eater! You’ll also find helpful tips and techniques for crock pot cooking. Find other chicken recipes as tasty as our crockpot chicken recipes, like our Rosemary Roasted Chicken.